There are still more fantasy baseball drafts to come over the next week, so it is essential that we check in on the latest FanTrax Average Draft Position reports. Here are some key observations and insights after my latest round of reviews. The time is now! It’s time to start thinking fantasy baseball. Leagues are already forming at Fantrax.com, so head on over and start or join a league today. Francisco Lindor (FanTrax ADP of 6.37): Drafters have remained confident in Lindor despite a calf injury that caused Inside Injuries to caution that he may start slowly when he returns. But Lindor has not been ruled out for the season opener yet and Inside Injuries now indicates that there are no major concerns on his health entering the season. Trevor Story (21.33): Although he is the 21st player off the board in FanTrax drafts, his power/speed combination and Coors Field lure have caused some owners to be more aggressive on Story in some leagues. Story went for 36 dollars in the Tout Wars Mixed Auction and I nearly bid him up one dollar higher. Luis Severino (35.6): If Severino was healthy he would obviously go a little earlier, but I still think this is too high for a guy that could miss the first month of the season. I would much rather take Trevor Bauer and Noah Syndergaard ahead of him, as they are going one and four spots, respectively, after Severino. It’s not like Syndergaard hasn’t dealt with his own injuries, but he is at least starting the season healthy and could have his best year yet if he steers clear of any issues. We already know Severino is going to miss time. Vladimir Guerrero Jr. (46.99): He is not going to begin the year in the majors, he has never played in the majors and now he is recovering from an oblique injury. There will be some swoons mixed in with the upside for sure, so I just don’t see him as a Top 50 player right now. Joey Votto (62.44): His power disappeared last year and he does not have an extra-base hit in spring training. He could be simply breaking down at age 35 and I have to wonder if Votto has any lingering back issues. He always starts slowly, and with the potential for reduced overall production too, I am staying away at this ADP. Tommy Pham (70.90): I have it on good word from a St. Louis insider source that one of the reasons the Cardinals dealt Pham was they are concerned that his degenerative eye condition may never improve. Plus, he was not always cooperative with the front office. Keep the first bit of info in mind if you are making a tough decision between Pham and another player in this range. 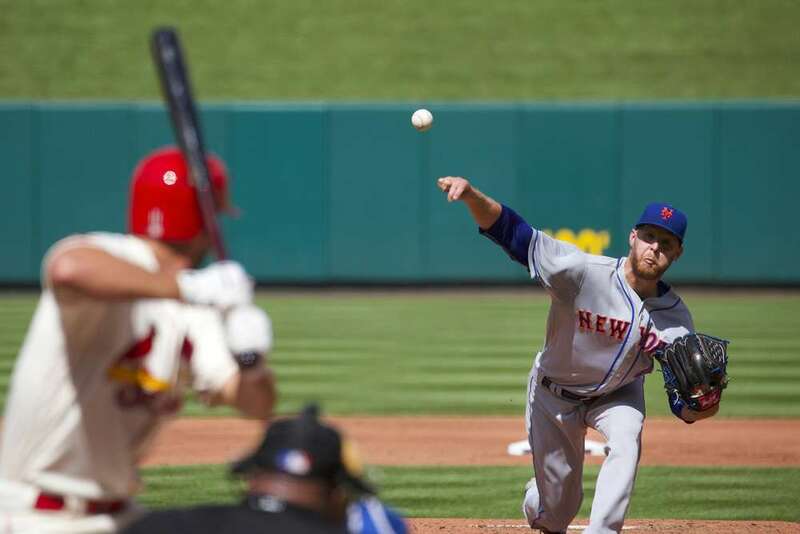 Zack Wheeler (90.51): I would not hesitate to take Wheeler almost 10 spots earlier than this. I spent 22 dollars on him in the Tout Wars Mixed Auction and I recommend getting aggressive to acquire Wheeler. He actually had a lower ERA and walk rate than Jacob deGrom after the All-Star break last season and many of his other notable statistics were comparable. Wheeler is in a walk year and could be on the verge of his best fantasy season yet. Edwin Encarnacion (115.03): The decline started last year with definite signs of eroding plate discipline skills, and at age 36, it’s only going to get worse. Drafting Encarnacion here is paying for what you used to get, not what you will receive in 2019. Nomar Mazara (147.96): I think this will go down as one of the better values of 2019. We have not seen the best of Mazara yet, and now healthy, he should put on his most impressive display of average and power yet. He is still young with more upside and promise than we have seen. Yadier Molina (179.95): Obviously he slips this far because there are concerns about his age, but Molina has really found something in the power department over the last two seasons and I will gladly take him at this point as a guy who is still among the best at a very thin position. Amed Rosario (198.14): Yes, he may not produce an ideal batting average, but this is just too late for me when you consider there is 15-homer, 30-steal potential. He had 18 steals after the All-Star break last year. Peter Alonso (230.53): Yeah, yeah, those who know me best will now sprinkle in the “homer” jokes. But you don’t see me talking up Steven Matz or recommending Wilson Ramos anywhere, do you? Alonso, though, is criminally undervalued at this point. It’s just a matter of weeks, if not days, when he takes the first base job for good and shows the look of a guy who can hit near .280 and pop 30 homers over a full season. If he somehow breaks camp with the team, look out. Jackie Bradley Jr. (246.24): He has worked with J.D. Martinez’s hit doctor and won the ALCS MVP. Don’t be surprised to see him have his best year yet in terms of numbers across the board. Brian Anderson (257.43): This is a very respectable late pick for a corner infield or outfield spot. Anderson has good bat speed and is the best pure hitter in the Miami lineup. That’s not saying a whole lot, but he will finish with a good BA and add in some pop. Zach Eflin (303.5): He had a very good first half last year and may be able to deliver more consistently over a full season in 2019. He has been watching and learning from Aaron Nola and is a great late flier for your fantasy pitching staff.